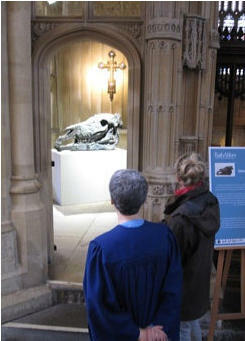 Sculpture by Deborah van der Beek displayed at Bath Abbey. 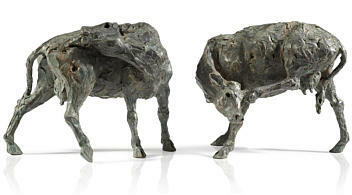 Deborah van der Beek’s ‘Collateral’, based on the skull of a horse, is about the innocent victims of war. The artist was inspired to make this piece after seeing a distressing image of a mother and baby found dead and buried in rubble in Lebanon. 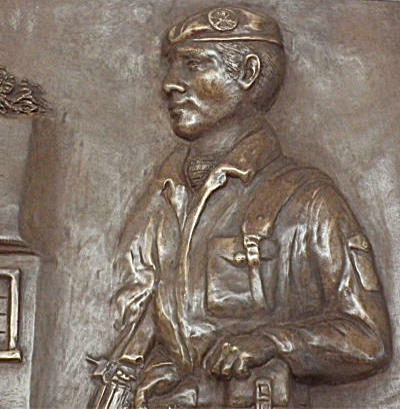 The warheads (rockets and mortar shells) embedded in the sculpture are real ones from the wars in Iraq and Afghanistan. 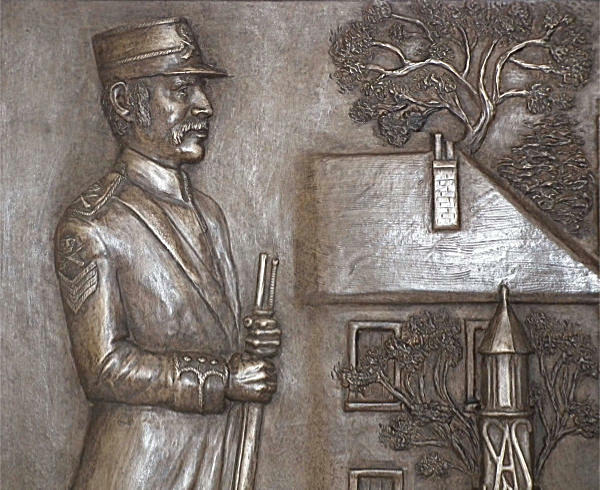 The bullets also are real, and scattered throughout the sculpture are the day-to-day essentials of life – such as a child’s shoe and a spoiled head of wheat. The piece was shown in the Abbey as part of this year’s Bath Art Affair, which features a sculpture trail around the city to mark key points of historical and architectural interest with sculptures from a variety of established and emerging artists. 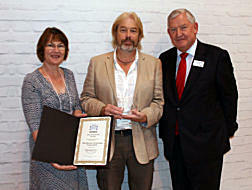 Opus Studio takes Award for Best Window Furnishings Product of 2012. The staff and team at Opus Studio are feeling thrilled and delighted at the moment, having been presented with the prestigious award for Best Window Treatments Range of 2012 at Autumn Fair at the NEC Birmingham. Presented by Alan Hawkins, CEO of BIRA, during a champagne reception hosted by the Home Decoration Retailers' Association (HDRA), this accolade is awarded annually following votes from the members of the Association, and reflects their recognition of suppliers that have provided them with true excellence of service and innovation in a particular field. Our sincere thanks to all those who voted for us. Fred Gordon takes sculpture award at Bath and West art show. The art exhibition returns to the Royal Bath and West Show again this year with over 300 works by both amateur and professional artists in a wide variety of media. Fred Gordon, a very talented young artist, won 1st prize in the sculpture category with this captivatingly titled piece ‘Girls Night Out’ in bronze resin. Neil Mason’s Penguins steal a march on the competition! 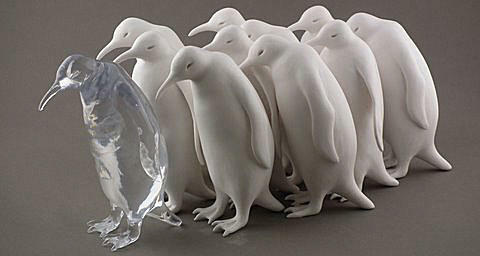 Cold Cast Marble Resin Penguins, moulded and cast at Opus-Studio for the wildlife sculptor Neil R. Mason swept from award to award across 2012 and into 2013. 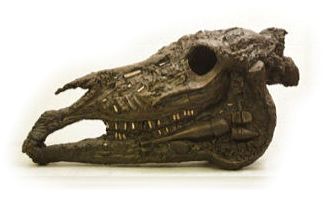 They started their exhibition march in spring 2012 at the annual exhibition of The Wildlife Art Society International at ‘Nature in Art’ Gloucester, then moved on in early summer to the National Exhibition of Wildlife Art on the Wirral, Liverpool. Then followed a late summer visit to Hampshire at the Marwell International Wildlife Art Society's annual exhibition, and in June of this year the penguins reappeared in London, at the Mall Galleries, for the David Shepherd Wildlife Foundation Wildlife Artist of the Year 2013 exhibition. 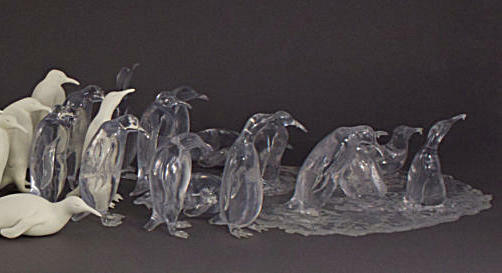 The first sculpture 'Going, Going Gone' consisted of 52 single penguins from a combination of 5 variants, plus a number of clear resin versions, and a 'melt' front piece representing the end point on the penguins’ annual traverse across the Antarctic ice barrier. 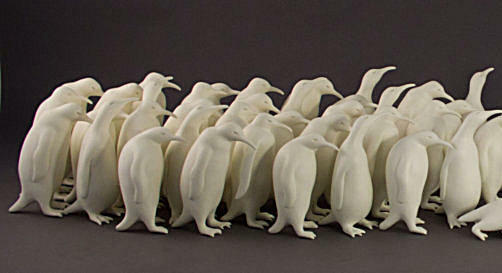 The second sculpture 'Closing The Circle' consists of 40 individual penguins matched from 4 variations. 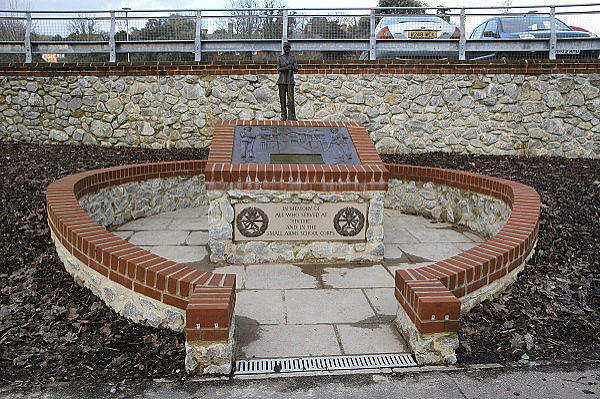 This sculpture is a configuration representing a colony as they begin to form a closed circle in anticipation of a snow storm. 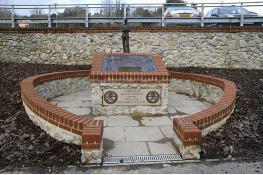 Neil’s web site is at www.neilrmason.com for more details. Our congratulations, and best wishes for his continued success. 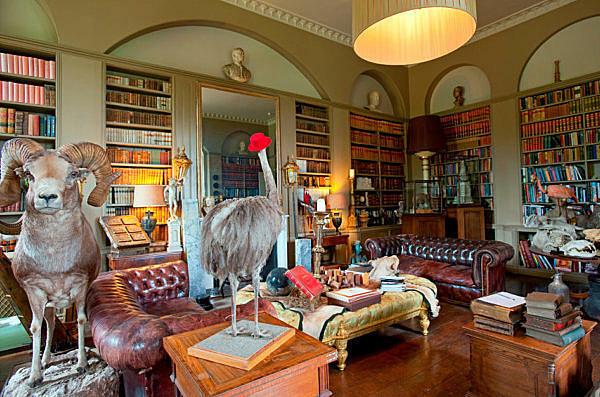 Aynhoe Park - Possibly the most exuberant collection you’ll ever see? 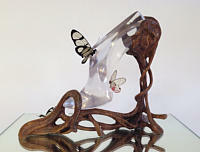 We were delighted to be asked to help create this fairytale Shoe Artifact piece, featuring a crystal clear cast shoe entwined by sinews of hand carved walnut. This is a limited edition, conceived by the artist Georgina Goodman in response to a commission by James Perkins, the flamboyant collector and current owner of Aynhoe Park in Oxfordshire. 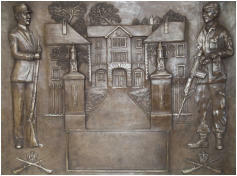 Bas-relief panel by Laura Lian, commissioned for SASC in Hythe. 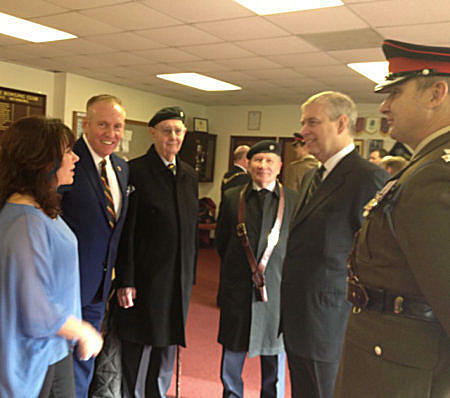 The Small Arms School Corps is a section of the British Army which is responsible for maintaining proficiency in the use of hand-held equipment and support weapons. 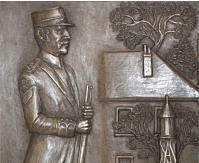 This 4’ x 3’ bas-relief panel was commissioned to the celebrated Somerset artist Laura Lian for installation into a brick and stone monument near the site of the original headquarters of the Corps in Hythe, Kent. 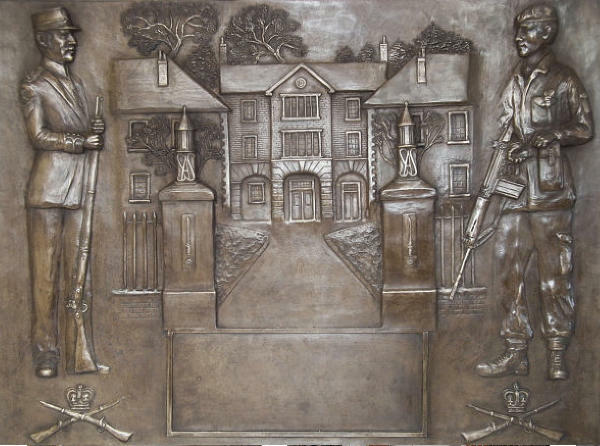 Cast by Opus Studio in bronze resin with a deep patination, the plaque was unveiled by HRH Prince Andrew, Duke of York in a ceremony earlier this month. 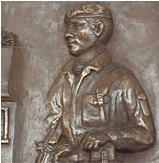 Detail of the bronze plaque unveiled by the Prince this month.